Dr. Braun is forbidden to practice medicine because he’s a Jew living in Nazi occupied Czechoslovakia. He’s old, seems resigned about the fate of the Jews, and even works in the Department of Confiscation of Jewish Property. One day a neighbor asks him to assist a wounded political fugitive. Dr. Braun reluctantly operates to remove the bullet, but warns that plenty of morphine will soon be needed in order to keep the man from screaming when he awakes, which would attract unwanted attention. After some soul searching, Dr. Braun decides to redeem himself and reclaim his identify as a person and doctor by continuing to provide assistance. His search for the scarce morphine takes him on a nightmarish journey which includes a brothel where local women are forced to be prostitutes for German soldiers, a bar where the locals try to drown their misery in booze and dancing, and a Jewish insane asylum with a high suicide rate. Meanwhile, in a world where there is constant propaganda instructing people to report any suspicious or disloyal activities, it may only be a matter of time before someone in Dr. Braun’s apartment building call in the state police. 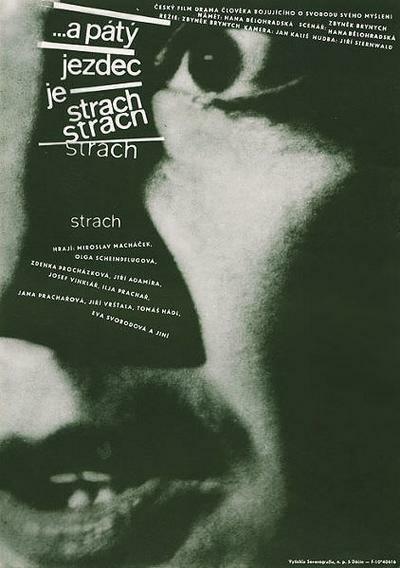 Made during the onset of the Czech New Wave, this powerful tale of personal responsibility is informed as much by Cold War paranoia – and Czech resistance to Soviet impositions – as it is by the torments of the Nazi era. Unquestionably of the ’60s in design and scoring, and set chiefly in a single apartment block, the film details the attempts of a Jewish doctor to obtain morphine for an injured resistance figure under police investigation. His internal discussions about when and how one is compelled to help, given his own imminent difficulties, are profoundly moving. Stylised and in places absurdist, with visits to an asylum and a decadent party, it’s a striking portayal of a society in moral meltdown, where ‘hate’s terribly contagious’. The doctor’s final act is an absolute attempt to draw a line in the sand against this, and a final measure of commitment to the greater good.